The Neo Elegance LED Facial uses a combination of techniques which include advanced LED light therapy to hydrate, brighten and plump your skin. What is a Neo elegance LED? The clinics Neo Elegance Facial with LED light therapy and Glycolic consists of a 50 minute facial with deep skin exfoliation, light peel, advanced skin serum and LED treatment. The skin is cleansed and prepared using a glycolic foam cleanser. Then an LED colour will be chosen to either combat ageing, acne or hyperpigmentation. The results from the LED facial can vary depending on your skin type and skin concerns, in most cases you will notice a difference almost instantly. If you’re looking for anti-ageing benefits we suggest regular treatments, for acne you can take a course of treatments to reduce the appearance of the breakouts and have treatments to maintain your skin. Speak to one of the teams consultants to choose a suitable course of treatments. LED facial treatment is a new and emerging therapy in the beauty industry that uses the natural healing power of light. Exposing light to the skin surface activates the skins photoreceptors and lets the skin cells absorb its energy. It accelerates cell biochemical circulation and stimulates the production of collagen among other processes. What skin problems does LED treat? How does this treatment treat Acne? Red light helps the skin cells to repair therefore diminishing swelling and inflammation to achieve a more even skin tone. This classic treatment will also assist the prevention of breakouts. Regular treatments with our LED face mask keeps acne bacteria away and prevents future breakouts before they happen. The LED treatment is completely safe and painless, and there is no down time after your treatment. Neo-Elegance facial can be used on nearly all skin types. The treatment uses light instead of heat, to treat your skin’s own healing process. However, the treatment is not recommended if you are pregnant or have had skin cancer in the past. Dr. Natasha is very experienced and specialises in the LED light facial procedure. The most common side-effects include redness and soreness in the treated area, these are usually minimal. These usually resolve within a few hours. Each person reacts differently to the treatment. Try to avoid touching the skin immediately after your treatment, to reduce the risk of infection. Try to maintain your skin between treatments, it is recommended to maintain your skincare regime as normal. Other possible side effects could be infection, and a foreign body reaction, but these are normally rare, if the post-procedure recommendations are followed. How can this treatment assist ageing? This treatment will be able to produce an even skin tone. The LED face mask treatment repairs cells to combat discolouration, redness, swelling and inflammation, improving the skin texture and tone with regular treatments. The LED face mask treatment will leave you with clearer, firmer and brighter skin with a noticeable radiance, providing an improved complexion. What kind of results can I expect after the treatment? As with all treatments to the skin, results can vary depending on your skin type. The client will notice a visible difference instantly after the treatment. For the best results we recommend regular treatments, a course of 5 would be advised to keep your skin maintained and reduce the appearance of skin ageing. 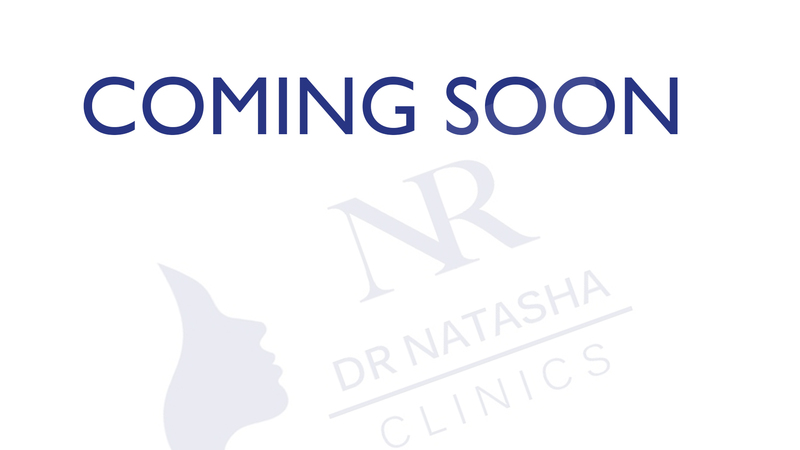 However, Dr. Natasha will advise you the most suitable course of treatments that’s right for you. Do not pick, scratch or rub the treated area for at least 8 hours or overnight for the best results. Avoid any skin treatments or facial waxing. Use a gentle cleanser and apply moisturizer at least twice daily for a minimum of 7 days post treatment.